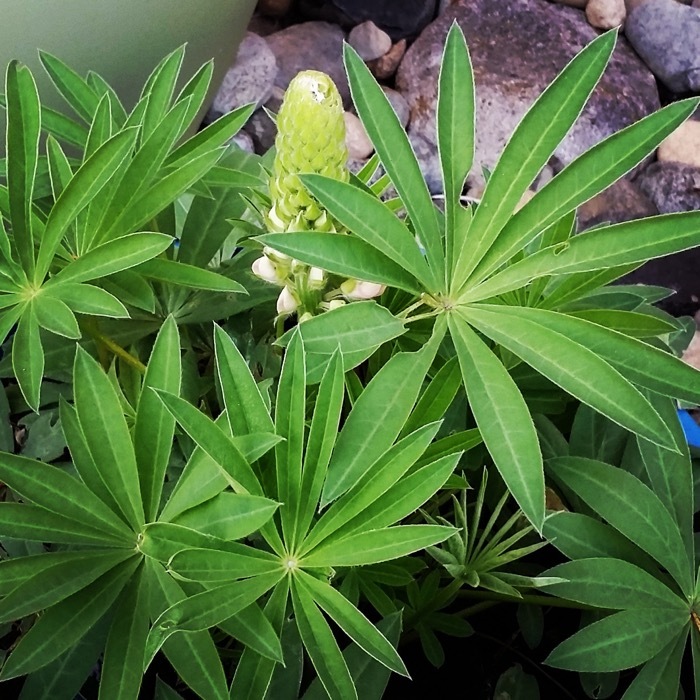 When I stop and look at my gardens….it is simply amazing. I created it! It hasn’t been easy work (it’s filthy, sweaty and dirty, right?) but the satisfaction is huge. 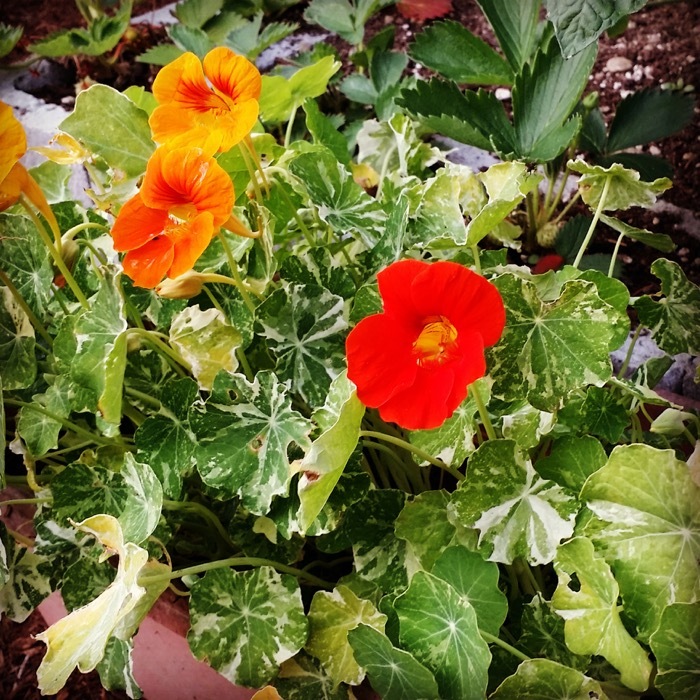 Nasturtiums from seed take a while, but it is SO worth it!These are the Alaska Mix. Pretty and edible. 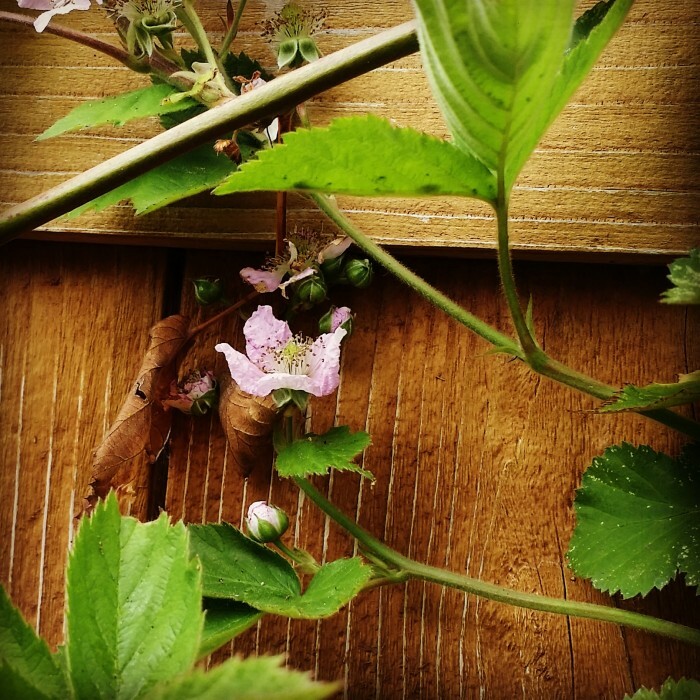 Thornless blackberries, coming into their 3rd year, the canes are covered in pink blooms. 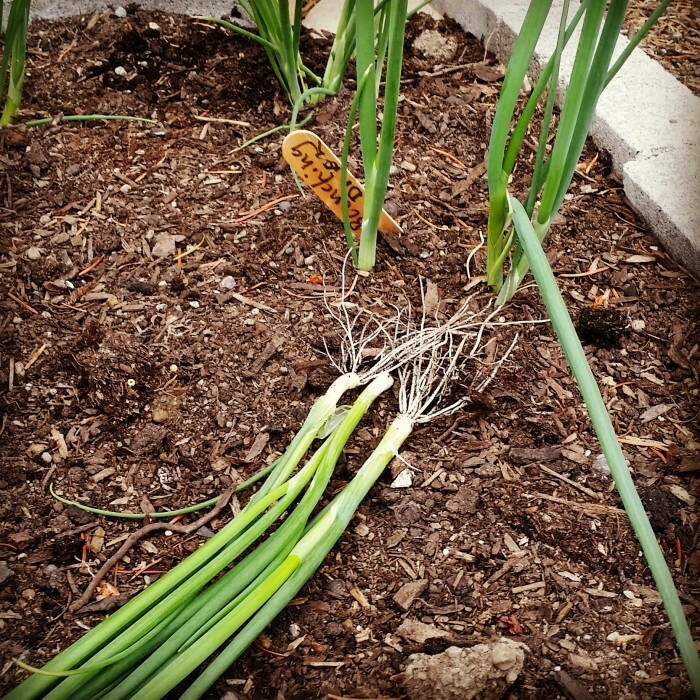 Bunching Onions – first harvest 2 weeks ago. I had grown them from seed and had a real issue. I made bad choices on starting soil/feeding/not big enough pots but somehow they survived…and I planted them in a small corner, figuring if they died, no loss. 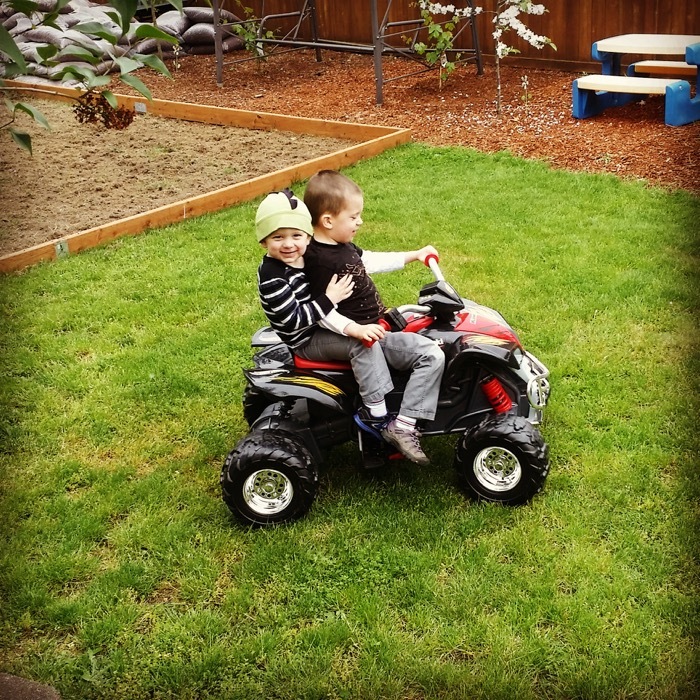 Well…..they are doing great. And tasty! In orchard news? 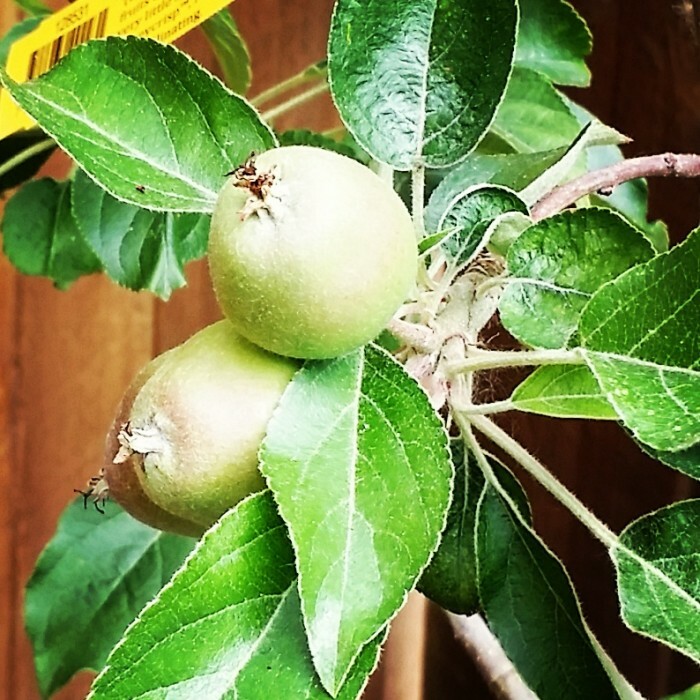 One of our semi-dwarf apple trees, a multi graft, is going crazy. The apples are already past lime size! But this alone made most of my work worth it. I was sitting down for a few, and watched a Robin fly over and land on one of my bird baths. It looked around, then stepped in and took a long and happy bath. That is pretty much an ultimate payment: seeing nature at peace, happy and growing. Now then…..not but a few minutes later, I see this little one bounding through the gardens. I had suspected we had a little rabbit visiting, I got my conformation. 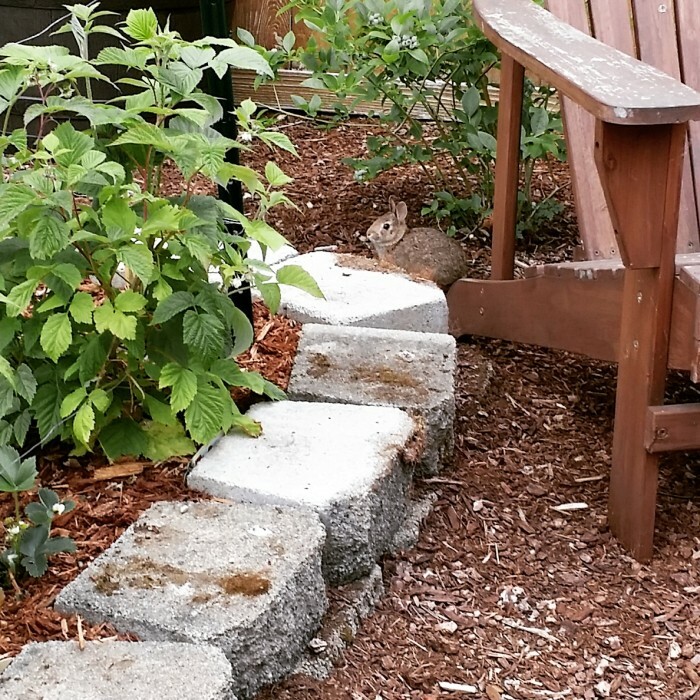 It is hard to hate it, even as it sits there eating my garden with lust….how can you hate the cuteness? , which seems to be helping a lot. 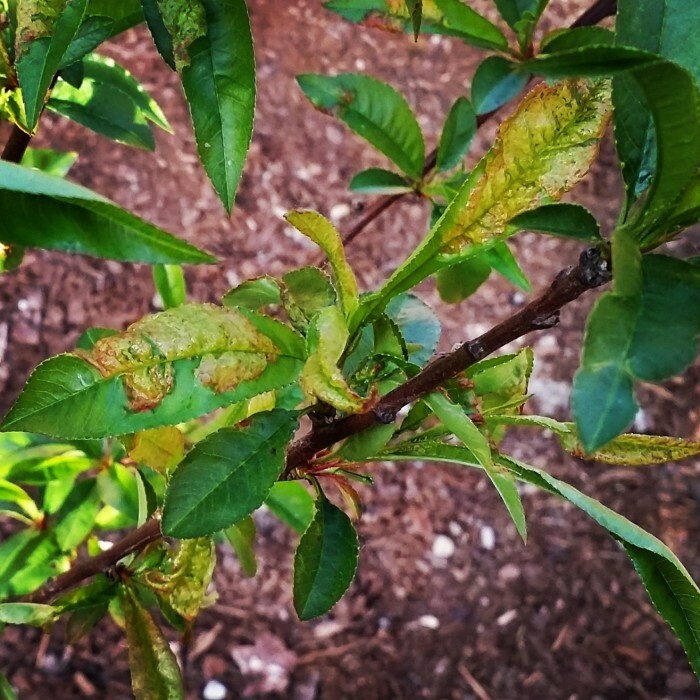 What I found is I was splashing the leaves on accident while watering one of our raspberry beds, and this is causing it. 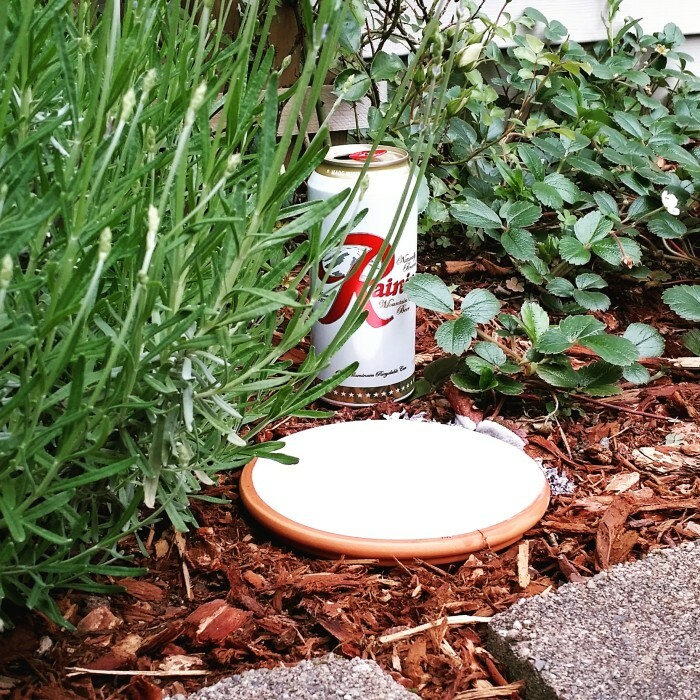 Nature’s hipster beer garden….darn slugs. 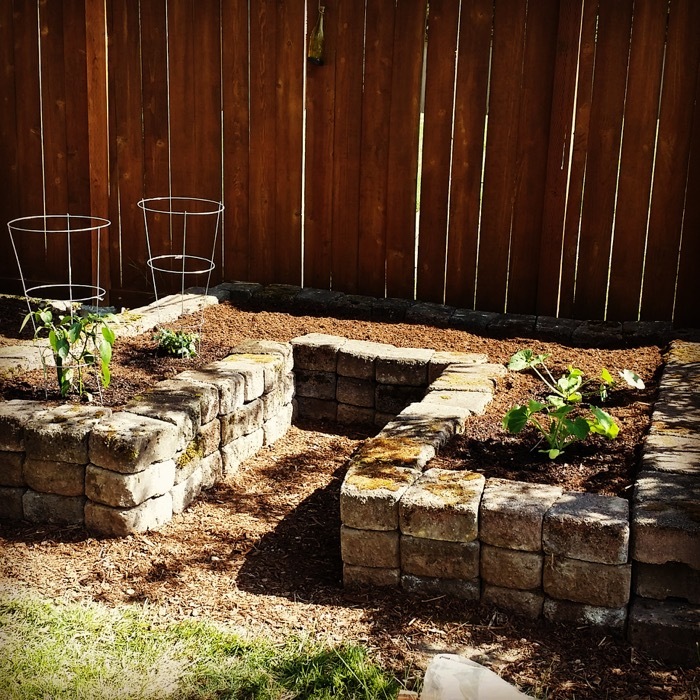 I had a very frustrating start to my garden in certain beds. 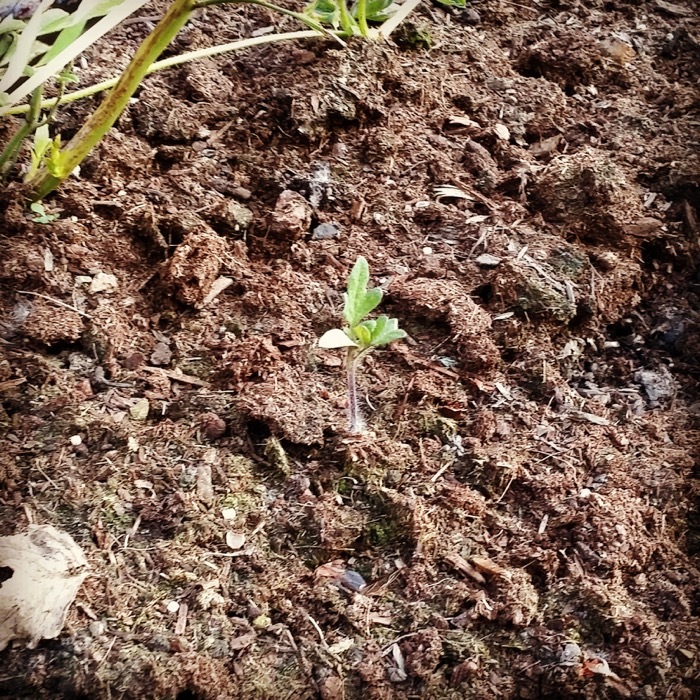 Partly, it was due to crappy soil. We had bought 3 way top soil that ended up being rocky, crappy and brick like. It choked the plants. It killed my first planting of green peas and beans and zucchini/summer squashes. Lesson learned. 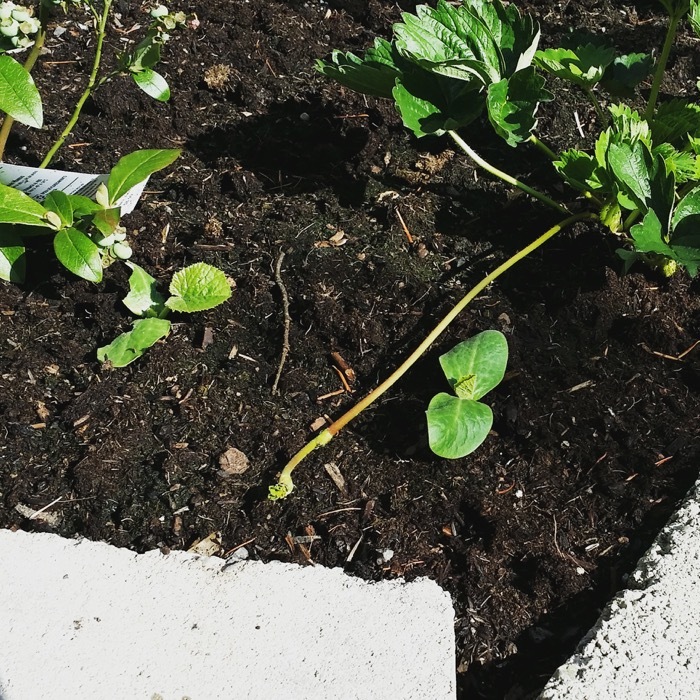 I tilled in a ton of compost into the bean and squash beds, and replanted. Not a fun lesson. 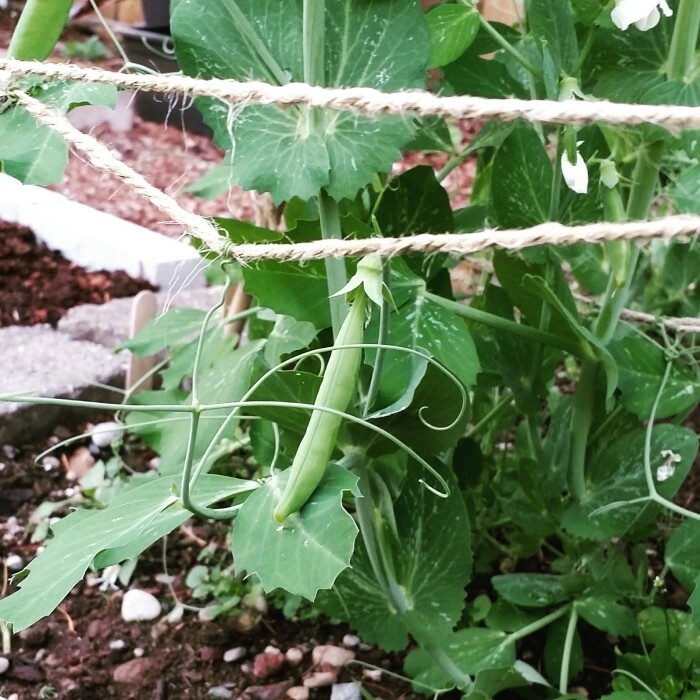 With the pea beds, I kept replanting seeds and finally they took. They are growing decently now. Once they die back, I will till the beds, and add in compost. Painful lesson learned. While out walking, I saw this done on trees for watering them. 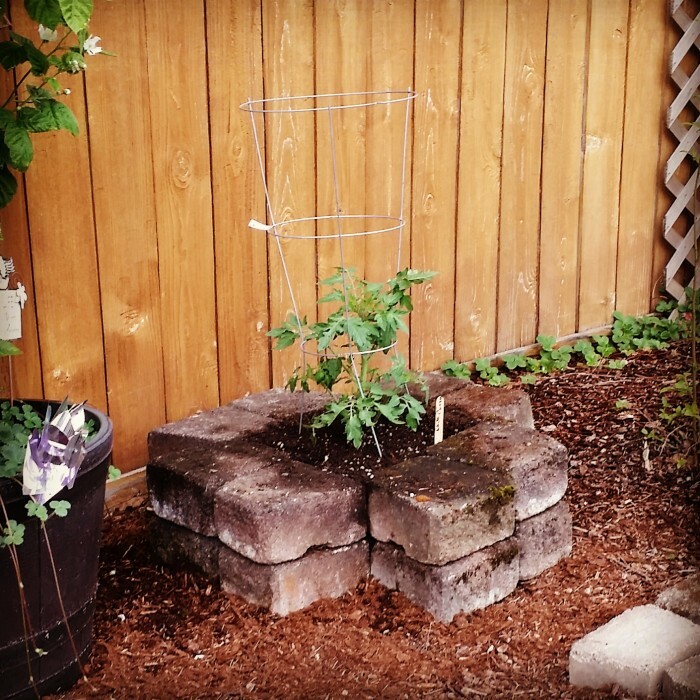 A very smart, and simple solution to watering. 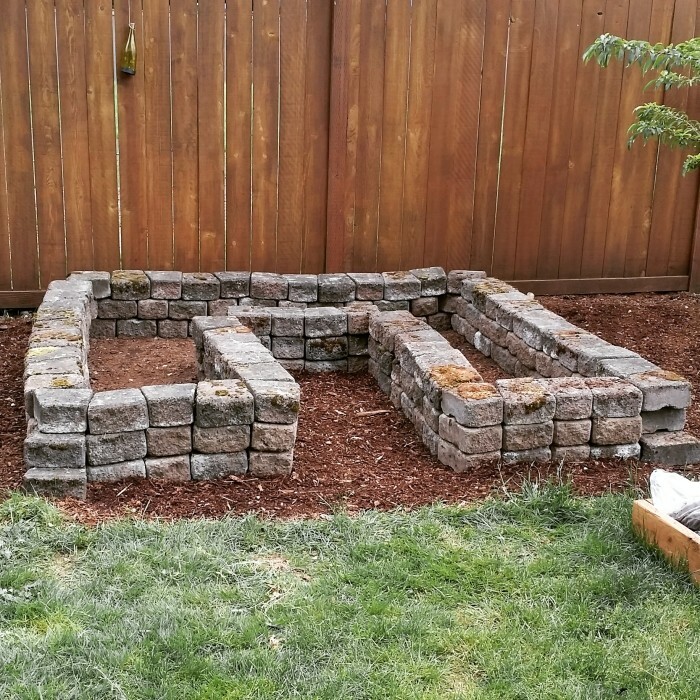 My largest raised bed project was this keyhole garden I built in an unused area. Is it perfect? No. But I am OK with that. Our HOA had decided to get rid of the pavers around the 175+ trees so I grabbed what I could take within walking, which was about 200. At 13 pounds each, that is a workout. The garden took around 150 and comes to below my knees. I can walk all the way around it. But since I didn’t pay $3-4 a paver (and at 150 good lord! 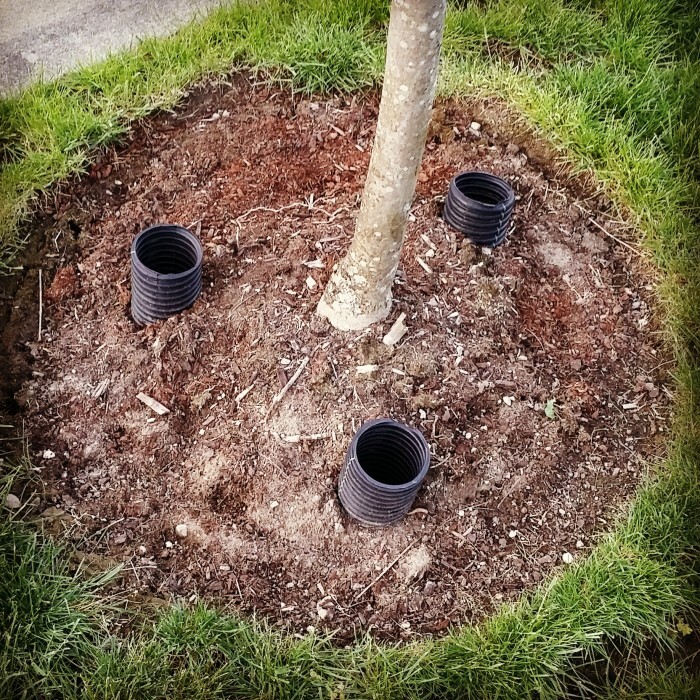 ), I decided to fill it with as good of soil as I could. Planted were a hot pepper, another orphan tomato plant, and on the other side, an heirloom scallop squash plant and another zucchini. Not shown are rows of carrots and beets in the back. High density planting. 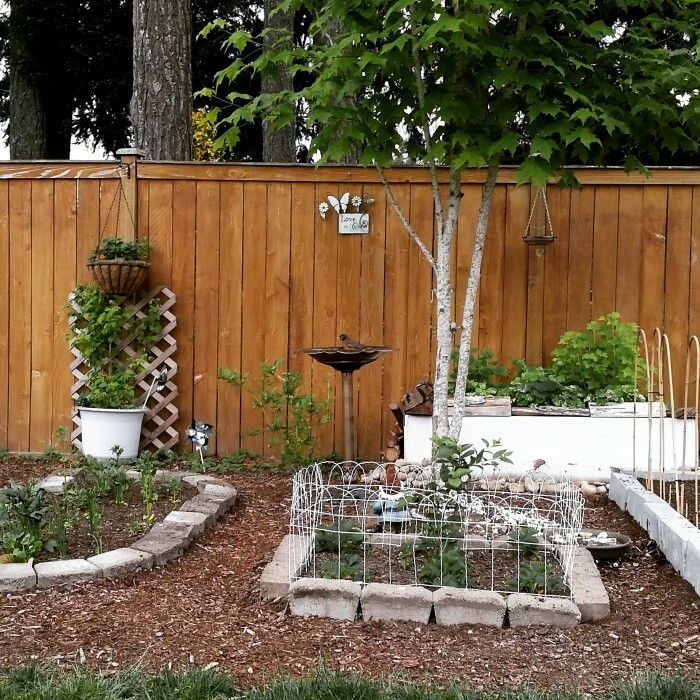 In my constant experimenting on the gardens, I made a bed in the back that I filled with mostly homemade compost. 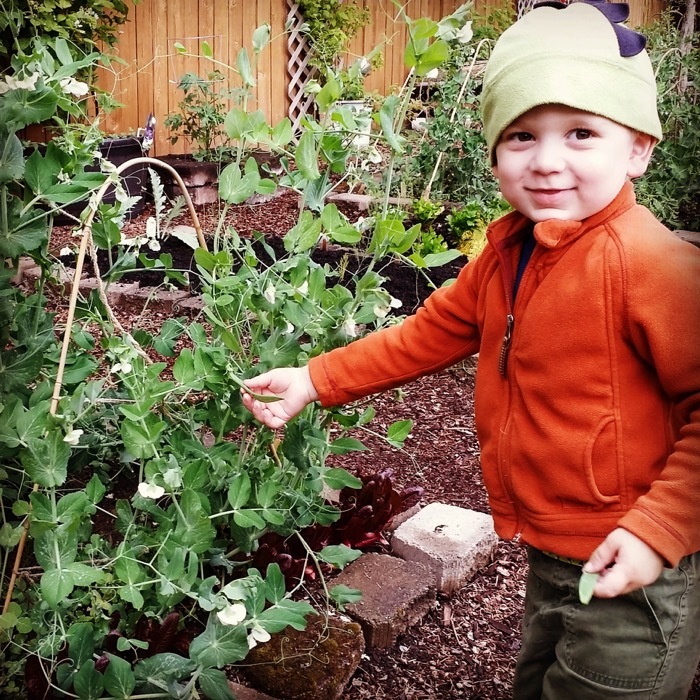 Well…I have had MANY seeds pop up. No idea what they are, pretty funny really. Squash? Cucumbers? A wild tomato plant? Lol! I am letting it grow, just to see what it is! 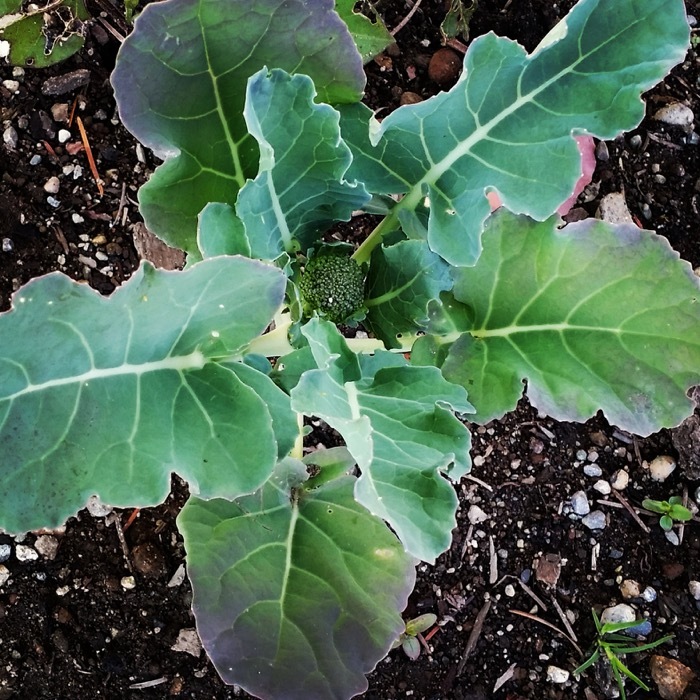 I doubt I’ll actually get any real broccoli to harvest, but it is fun to see I managed to keep 4 plants alive and actually form tiny heads. With the heat wave coming this weekend, it will probably bolt. 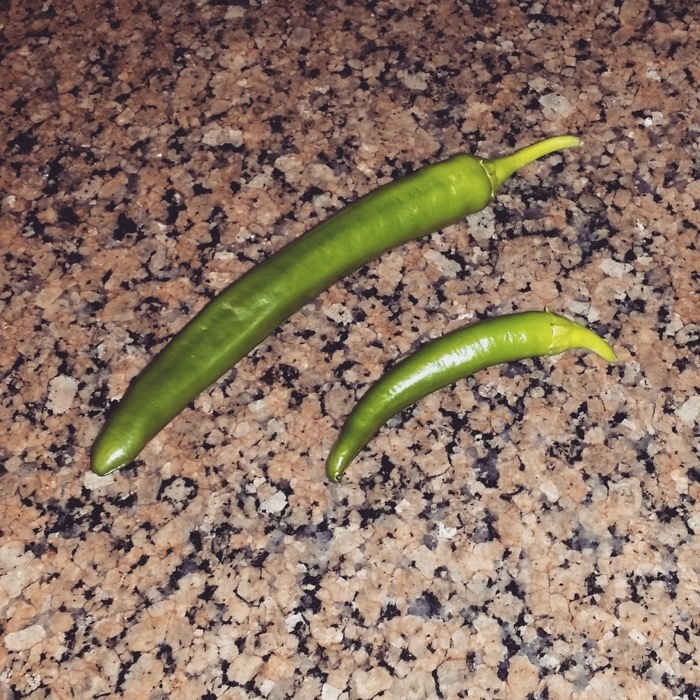 First hot peppers of the season! Wow! Now if only my tomatoes were here, well I’d have salsa….. 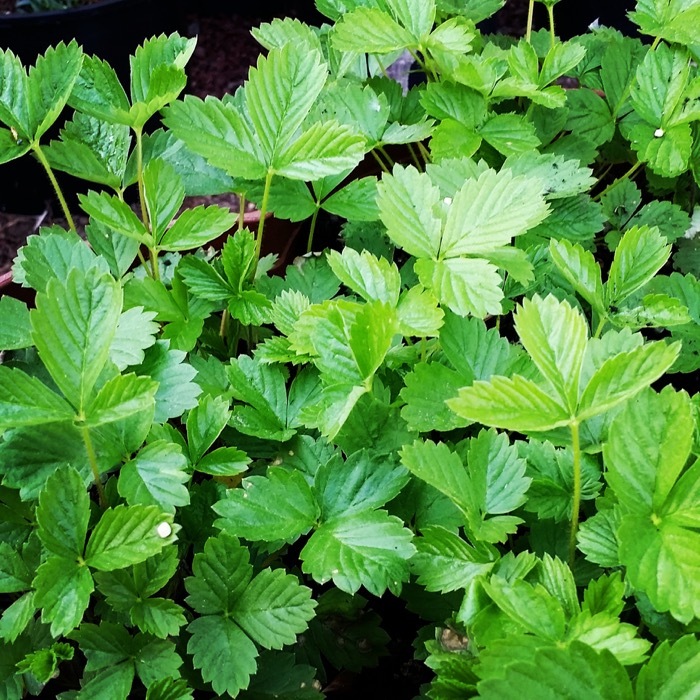 Grown from seed, my Yellow Wonder Strawberries had a slow start but are now going crazy – I keep dividing them again and again. Hopefully they produce berries this year, but if not, I can wait till next year! Until then…a few cool and rainy days this week are supposed to lead into a heat wave over the weekend. It could lead to the garden going ginormous. 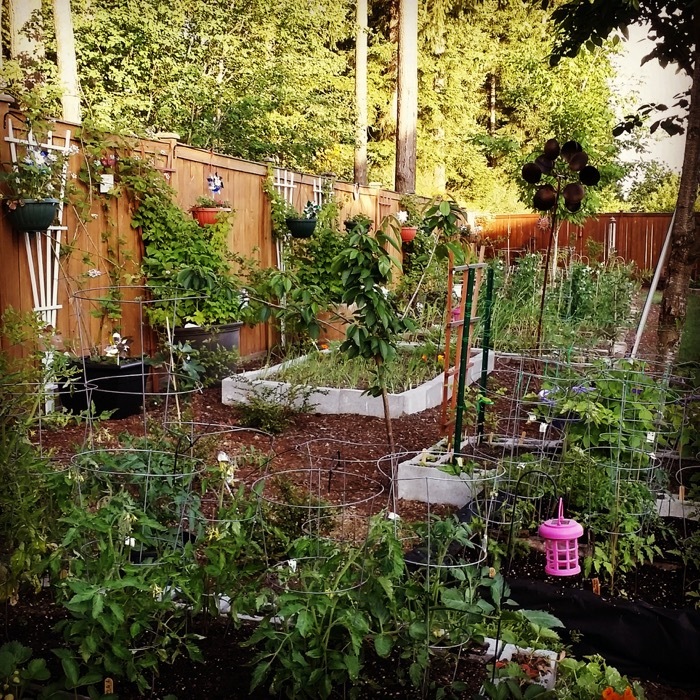 GORGEOUS garden, Sarah!! Nice work. Keep these posts coming, I can’t wait to see how it looks in July!